It's not a secret that I love bubbles, I think they should be consumed most every day. So, it was to my surprise that I noticed, just recently, that Mumm Napa Valley had a sparkling wine that I had not yet tried - Cuvee Renouveau. What? I needed to remedy that instantly. And there perhaps would be, I thought, no better time than New Year's Eve to imbibe in a bottle of the aforementioned Renouveau and then compare it with it's soeur Française, Cordon Rouge. So, I procured myself a couple of bottles of the American red-striped bubbly (not the Jamaican beer) and a couple of bottles of the French variant. If Mumm Napa were trying to duplicate Cordon Rouge they got pretty darned close. The grapes are sourced from the Anderson Valley, slightly cooler than Napa, and perhaps more suited to bubbly production. The Cordon Rouge's mouth feel is irresistibly and undeniably French, redolent with yeast and toast, whilst the Renouveau has an alluring nose heady with sour-apple skin and ripe pear, still they are incredibly very similar. However, I'm not going to over analyse that which is sparkling in the glass before me, it's New Year's Eve...I'm just going to enjoy two rather decent wines. At last, a welcome frost in Vinoland. I am so tired of rain, one could be forgiven for thinking California was actually England of late! Everywhere looked so pretty when I woke up this morning that I almost didn't want the sun to rise, above the eastern hills of Vinoland, and banish Mr. Frost from my deck. Each breath I took was crisp and fresh and everywhere glistened in the frosty, thin air. I wish it had been like this on Christmas day, but the festivities went on in spite of the downpour. I'm hoping it stays like this for the New Year. A glass of something hearty with dinner tonight is in order methinks. We are expecting low temperatures tomorrow morning also, hopefully the plummeting mercury will finally finish off the 3 million pesky fruit flies that are living in my compost bin. See ya, Drosophila melanogaster. It's not been nice knowing you! A black sheep that is, except mine. My relatives are all pretty straight-laced, verging on boring if truth be told. So I had to take a quick road-trip-in-a-bottle to Amador County to find one. The Black Sheep 2002 Zinfandel had definitely seen better days. 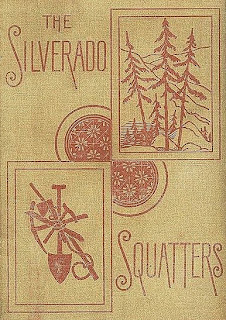 The wine was still recognisable as a Zinfandel, but a lot of the wonderful aromas of raspberries and pepper, that you expect in a young and robust Zinfandel, were all but a distant memory. The Black Sheep was accompanied, to the mini Vinoland party, by a 2007 Rapscallion (now we're talking, we have several of these in my family)...the Prodigal Son couldn't make it this time - he is holidaying down in Paso Robles. I have never really liked foods made with any type of liquor. Sherry in a trifle, no. Cognac in the Christmas pud, nope. Marsala in a zabaglione, pass. Unlike a dear, departed auntie of mine, who was the undisputed Babycham and Cherry B queen of the family, I have never liked liqueur filled sweets either; horrible, nasty things! That was until I was introduced to Aunt Happy's Happy Balls, (a wedding present from the aforementioned Michiganians), four years ago. Now I think Aunt Happy (although she's not an attractive woman) is my new favourite auntie. It is a tad early, but it seems somebody is already imbibing in a snifter of port (which happens to be a blend of Touriga nacional, Charbono and Tempranillo). It's allowed because he did have rather a long night after all! Enjoy it Santa! Yuletide greetings from the Napa Valley. Vinomaker, the Vinodogs and I wish you all a very merry Christmas and a happy, healthy, and prosperous New Year. I made a bit of a mess, but the mulled wine is a-warming. Let's get this party started! 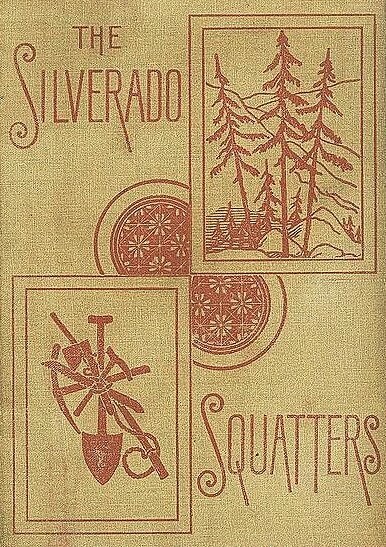 A festive Christmas Eve to you all. This winery, Peju Province, is in my mind notable not for the wines they produce, but for the strangely pruned sycamore trees that line the winery's driveway. These poor, pathetic trees lean northwards in unison all year long as if besieged by a constant, raging wind from the south. It doesn't seem right somehow that each Platanus occidentalis is pruned to within an inch of it's life. Where are the outraged tree-huggers? However, come Christmas-time it's a different story. Bedecked in glowing, red fairy lights these trees suddenly become a wonderful sight to behold and one tends to forget that the wines within are not so spectacular. I'm sitting here looking for a decent mulled wine recipe online and I'm discovering that there are lots and lots of recipes to choose from, all variations on a theme. Mulled wine is a traditional winter drink and is essentially a combination of wine (usually red), citrus, spices and sugar which is then gently heated. 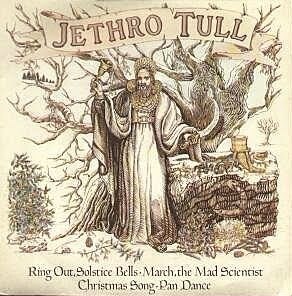 Whilst mulling over the final selection of what seems the most pleasing concoction to me, I thought a little Jethro Tull was in order. Happy winter solstice. Not all wineries have a tasting room in situ so to speak. Hill Family Estate is one such winery. Located on Yountville's restaurant row, just a stone's throw away from Bouchon, Bistro Jeanty, and the famed French Laundry, Hill Family's tasting room looked very inviting on a recent, rainy December night. It's a pity I was too busy to stop, it looked so cosy. The date palm, in the background, looks like it was added for an extra Californian effect! What do you get when you buy several barrels from a local cooperage at $900 plus each? A complimentary Christmas card. Merry Christmas right back at 'ya Demptos! This 30' plus tall pine tree stands tall, and proud, all year long at Cliff Lede Vineyards located on the Yountville Crossroad, but here it is resplendent in it's Christmas finery. Okay, so the lights are placed in a rather slapdash fashion but readers, really, have any one of you ever decorated so tall a tree? As I head south towards home on the Silverado Trail this cheery, welcome sight reminds me every year that someone owns an awfully tall cherry picker. It's been quite a few years since I have actually wanted anything specific, in the way of a present, for Christmas. Honestly, the last time I remember believing that I needed a particular gift was probably when I was a teenager. And even then I most likely had to rack my brain for ideas. Nowadays, when posed with the question "what would you like for Christmas?" my response is invariably, "...nothing." I know this nettles my nearest and dearest, but really my needs are few, my tastes are simple, and my imagination is often lacking. 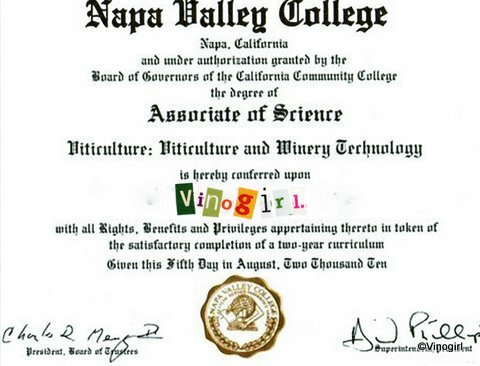 What is a Vinogirl to do? I am the happiest in the company of good friends, at play with the Vinodogs, and in the sharing of comforting and relaxing familial repasts (accompanied by a good glass of wine of course). The gift of good times, that foster fond memories, are my favourite pressies now. I really would not want, or have the need for, the Vino-handbag (in the above picture) as a gift . Who would? It's been a rather damp, not too cold, autumn so far here in Vinoland. Winter, still officially more than a week away, is as yet forecast to be not much different. Ho hum! I would like a little frosty weather to make things around here seem a little more Christmassy. Although I may long for white, frosty beginnings to my December mornings, the appearance of a little ray of floral sunshine is not lost on the cold-hearted Vinogirl. Here is Vinoland's first narcissus of this 2010 season. Enjoy! Seeing as it is Gaudete Sunday I thought it appropriate that I indulge in something pink (think rose-coloured candle) with dinner. A Mi Sueno 2009 Rosé seemed just the thing. An unusual blend of Syrah, Pinot noir and Malbec, this deep, salmon hued wine is quite a little fruit bomb with very, very nice acid. Mi Sueno produces some incredible wines and it seemed fitting that I chose a wine with a Mexican connection as today is also the feast day of Our Lady of Guadalupe...not that I can remember celebrating that particular feast day much growing up in Liverpool. This just agitates me, I don't know why exactly, it just does. There I was quietly reading an article on the U.S. Supreme Court when I turned over the page and saw this advertisement. 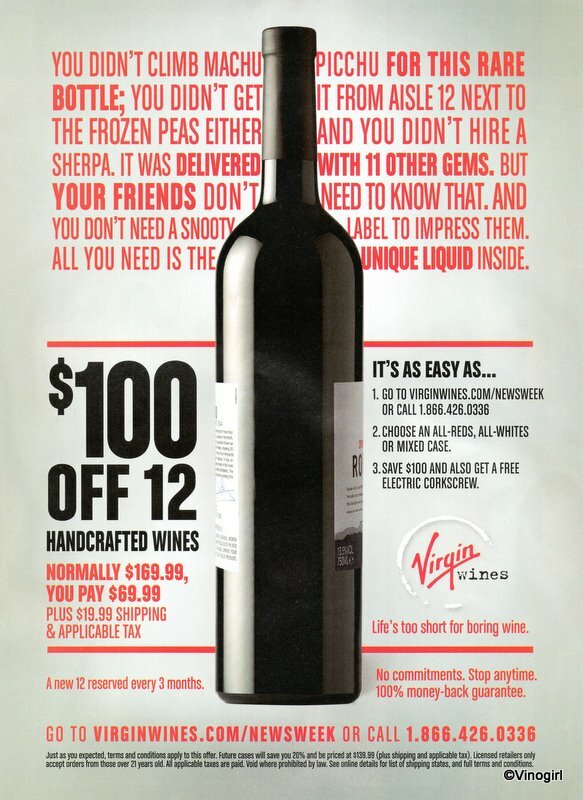 For starters, like oil and water, Newsweek and Virgin just don't seem to go together, and then they go and throw in some sort of wine-club-thingy for good measure! 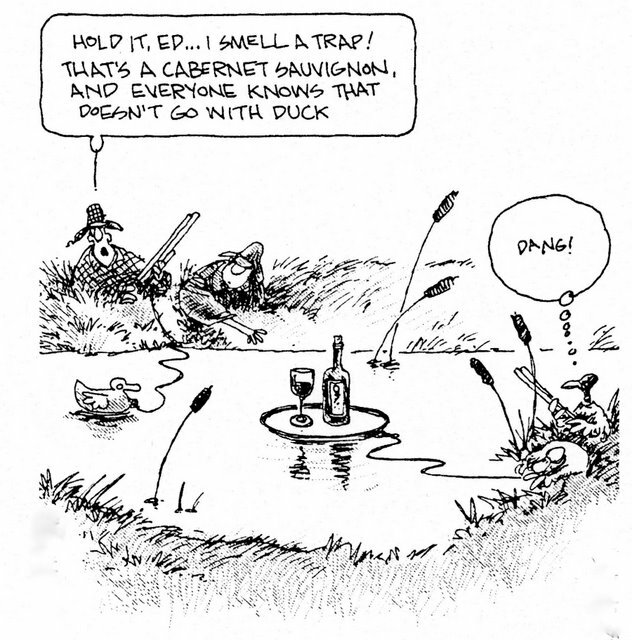 The lengths that some people will go to just to be in the wine industry. I find it all very disturbing. ...the vineyard crew were out pre-pruning the Far Niente Chardonnay vineyard near Vinoland today. Although a week earlier than last year, I have to take my hat off to their head viticulturist for maintaining a very tight vineyard operations schedule...if only I were so organised! Nothing says Halloween in these parts like a late harvest Sauvignon blanc, spicy pumpkin and cream cheese muffins...and a few spooky plastic Halloween rings. A load of Old Bull. A very grey Napa day found me traversing the valley in search of landscapes to photograph for the class I am taking. There was just one rule - no vineyards. Do you know how hard that is in this valley? The Napa Valley, a place where every postage stamp-sized plot of land has grapes on it. The day didn't end in tears, I did alright. On my travels, I stopped off at Turnbull Wine Cellars, primarily to visit a photography exhibit that they are currently showing in their gallery (I also have to write a paper on a gallery visit.) To my delight, included in the exhibit was the iconic portrait, by Yousuf Karsh, of my True Wine Lover 1 captured at his most statesmanly. This was turning out to be a great day. But, whilst I was there I also decided to take advantage of an inter-winery discount that most wineries offer to each others employees. 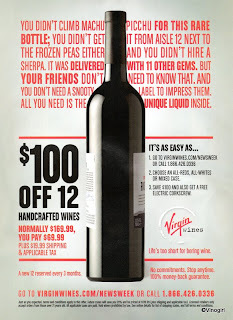 It's a great way to try wines, at a very reasonable cost, that I have never tried before. For $13.30 (plus tax) the Old Bull proved to be a more than worthy tipple with dinner; a bit plummy and overripe, but enjoyable none the less. Of course, I am with little doubt that the discount helped the Old Bull go down. We've just suffered through 3 days of rain in Napa, and the forecast for the week ahead isn't looking too rosy. Vinoland's Cabernet sauvignon looks beautiful right now (pictured above a couple of hours ago), but will it stay that way until it is time to harvest? Hugh Johnson OBE. Or, as he is known in Vinoland, just plain Hugh. No, I've never met Hugh, nor are we likely to ever cross paths, but I feel I have come to know the man through his writing. Hugh is arguably the world's best wine writer, I personally believe he has no equal (although Ms. Robinson comes awfully close.) If you are a wine enthusiast who is reading this post and you do not know who he is I suggest you find out. Cambridge educated, Hugh has been writing about all things wine since before I was born. But to simply call him a wine-writer is a gross understatement. Hugh's 1989, 13 part mini-series Vintage: A History of Wine, tells the story of wine from ancient times to the present (well, 1989 at least.) Vintage is probably one of the best television programmes I have ever watched, in fact Vinomaker and I own it on VHS. Hugh's book, Wine, was the first serious wine book that I ever owned. Hugh's 2006 memoir, A Life Uncorked, is the most recent of his books that I have read. Fascinatingly, it was like Hugh was reading it to me, I don't believe I have ever read any other book in which the author's voice, and personality, resonated so thoroughly from each and every page. Vinoland, and it's immediate vicinity, was a hive of activity today. We harvested our Syrah, and I am happy to say the fruit looked to be of great quality. The folks at Far Niente harvested their Chardonnay overnight (this photograph was taken a week ago), perhaps more due to logistics this year than just the desire to bring the fruit into the winery for processing as chilled as possible. 2010 is shaping up to be one of those vintages where the time between harvesting whites and reds is being considerably shortened. This evening, Vinomaker and I attended the Napa Valley Small Vineyard Owners Association's harvest party...there were some vineyard owners of normal height there also. In Vinoland, we use degrees °Brix (°B) - the percentage of total solids in solution - to measure the sugar content of our grape juice. As I have mentioned before, this is only a guideline as to when grapes are ready to be harvested and made into wine. Today was the first time that I have bothered to test our Cabernet Sauvignon to see just exactly where it is on it's little annual journey towards maturity. I took several readings and they all came in exactly the same, (no need to take an average of the readings - which was a first for me), 22.6 °B. Yes, Thomas, I know that that is approximately 12.9% potential alcohol, but look at the squished grapes in the above photograph; seeds are still partially green, pulp is still firmly attached to the seeds, and there is almost no colour extraction. The flavours are quite promising, but merely measuring the sugar content is no indication of phenologic maturity. Maybe it is just my inner 10 year old English-school-boy-sense-of-humour, but I wonder if these people have ever seriously considered changing their surname...or at the very least not putting it on a wine label! Labels: I can't drink that, Nudge nudge, Wink wink. Yum! The St. Helena Clone 7 looked and tasted good. Everything went smoothly this morning; fruit arrived in a timely manner, sorting and destemming went according to plan, clean-up was quick and painless...should make for a good glass of wine three years from now. Cheers! Our Zambelli crusher-destemmer is patiently waiting. It was used briefly, on Monday, for our small Pinot gris harvest, and will be used tomorrow on Clone 7 Cabernet sauvignon from a friend's St. Helena vineyard. It may be a while before we use it again on our own grapes. Vinoland's Syrah is coming along decently, I got a respectable sugar reading of 23.4 °Brix today. This was, of course, an average taken from several individual readings of juice, from berries selected randomly throughout the vineyard. But, more importantly the fruit tastes good; the seeds are maturing, and the berries are softening nicely. Slow, but sure. The Italians definitely know how to make great small winery equipment...and great wine...and great food...and great shoes. At last. 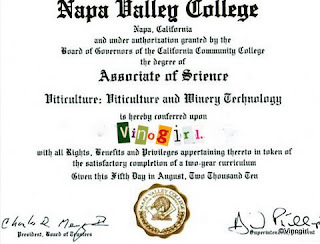 My diploma from Napa Valley College arrived today. I was beginning to think that I hadn't really graduated after all. It's finally official - Vinomaker can now take me for a celebratory meal. Harvest begins in Vinoland: 2010. Harvest 2010 began in Vinoland today. Better late than never! The Pinot grigio may be small, but it's awfully cute...and tasty! It's that time of year again. Today is V2's 3rd birthday...whoo hoo! Breakfast this morning was followed by the opening of presents and the munching of chicken jerky. Of course, V1 was included in the festivities, in fact I think she liked the fluffy, honking Canada goose present more than V2. A good time was had by all, even me! 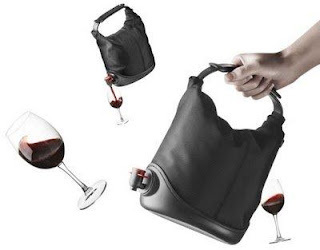 Vinomaker and I will celebrate with a glass of something special tonight. Tasting in the 'hood: Coombsville. Napa county contains, within it's geographical boundaries, certain areas that exhibit distinct microclimates and terrains that are said to impress upon the grapes grown within them, definite and distinctively recognisable characteristics. Sort of comparable to the French Appellation d'Origine Contrôlée (AOC) system, these appellations in the United States are known as American Viticultural Areas (AVA). To be even considered for AVA status, supporting data must be submitted to the government which, after requiring applicants to jump through hoops of red tape, decides whether the proposed AVA designation will be granted. The entire Napa Valley is itself an AVA, but within the Napa Valley there exist 15 distinct sub-AVAs. I work in the Oakville AVA, but I live in a different part of the valley known as Coombsville. I can personally attest to the fact that the microclimate in Coombsville, or as Vinomaker likes to call it, The Tundra, is considerably cooler than the rest of the valley. Coombsville looks like it is on track to be the Napa Valley's newest AVA. It's ironic, considering the Coombsville area has a longer history of winemaking than most of the rest of the valley. Indeed, the Coombsville area gets it's name from Nathan Coombs, the founder of the city of Napa, and historical records show that some of the first vineyards in the valley were planted here prior to 1870. This afternoon, I was lucky enough to be invited to the Coombsville Vintners & Growers Association's inaugural trade and media tasting. There are currently 38 member wineries in total, 21 showed up for this event. The wineries that were pouring definitely offered up wines that really seemed to display characteristics unique to this area located in the south eastern corner of the Napa Valley. The temperate climate here, the one that Vinomaker so often complains about, effects an extended growing season which lends itself to full phenologic maturation of the grapes. This, in turn manifests itself in medium to full-bodied wines that display true varietal characteristics with fabulously, finessed flavour profiles. It was a pleasantly eye-opening event. I suppose it took the petition for AVA status to cause many of these wineries, (that I wasn't even aware existed until very recently), to seemingly appear from out of the woodwork. Hats off to whomever was responsible for organising these wineries into one association. Wineries that particularly stood out for me were; Black Cat (Tracey Reichow's wonderful Syrah was, as always, delicious), Daviana, Farella, Inherit The Sheep (adorable label), Porter, and Prime. Working my way around the different stations it was glaringly apparent that this is a collection of like-minded individuals who are in the wine business because they are very passionate about the wines they craft. This is a group of vintners and growers who are very happy to share their wines with anyone who wants to taste them, and you could tell they were loving every minute of it. 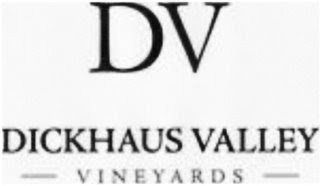 The whole atmosphere struck me as very different from the sadly jaded attitudes that can often be encountered in many of the upvalley wineries. I spoke to a lot of people and tasted a lot of nicely, handcrafted wines. One of my favourite comments came from the winemaker for Blue Oak Vineyard, Grant Long. Although the majority of the wines being showcased were Cabernets, Grant was pouring a really bold Merlot. At 200 cases this is a tiny production which apparently was aged in oak for 30 months. I questioned the length of time in oak and the winemaker responded thus: "If you make Merlot, make it memorable." Fair enough. For me, this was a thoroughly enjoyable event. I wish all concerned the speedy confirmation of their, in my humble opinion, well deserved AVA status. You say Garnacha, I say Grenache. Today is International Grenache Day - the first ever. Who knew? Apparently, back in June, a Grenache symposium was held at some French château or another. Co-hosted by British wine writer (and Francophile) Steven Spurrier it was decided, there and then, that September 24th would indeed be a feast day of sorts. It seems only fair seeing as Grenache, one of the component grapes of the venerable wines of Châteauneuf-du-Pape, is said to be the fourth most planted grape variety on the face of the planet. Well, not needing much prompting, Vinomaker and I decided to imbibe in a glass of Grenache ourselves this evening whilst we feasted. It's still September (Ca. wine month, although I have strayed twice already), so I decided on something domestic - a 2008 'Horse & Plow' Grenache offering from the Alexander Valley. It's nice to get out of Napa once in a while, even if it is only via a wine glass. Whoa Neddy! This wine's got some horse power. At 14.5% alcohol by volume all the soft strawberry flavours and supple tannins that you'd expect to find in a Grenache are gone, maybe they were never there. Yikes! Guaranteed not to improve with age...hate when that happens. Stateside, September 24th is also National Punctuation Day. You can tell by my run-on sentences and a writing style verging on criminally abusive that I am not celebrating along with the rest of America. (I wonder what these particular revellers are drinking.) I can almost hear my sister, La Serenissima, rolling her eyes across the miles...mixed metaphors permitting. Emboldened by yesterdays not too frighteningly low sugar levels in the Pinot gris, today I ventured into the Syrah block to get a quick sugar reading over there. The clusters look fantastic, so I had my fingers crossed. A mere 17.8 °Brix...yikes! When growers normally expect to reach sugar levels of at least 24 or 25 °B before they'll even consider harvesting grapes, it seems like maturity is at least 3 or so weeks behind this year compared to previous vintages. The rain did not materialise today as forecast, but it remained grey and overcast until late afternoon. We need more sun! Today, I felt brave enough to test the °Brix (°B) in Vinoland's grapes for the first time this season. The Pinot grigio clusters look great, but looks can be deceiving. What stage of maturation are we at with the challenging 2010 vintage? And, just exactly where are we with what could prove to be some possibly elusive sugar levels? I took several readings with a refractometer and got an average of 21.2 °B...not bad. But more important, than merely measuring the sugar content, is how the grapes taste. The Pinot grigio still taste rather tart and the seeds are half brown, half green...not even close to being ready for harvest. With the weather taking on a distinctive autumnal feel, and the first rain since May forecast for tomorrow, Vinoland is in desperate need of an Indian summer or a miracle. A little something Italian, and white. That would describe a nice glass of Soave. Today was my Friday, so I was feeling in a slight celebratory mood as I drove home this evening. After a long and tiring workday I really didn't feel like drinking anything that had been produced locally. So, I stopped at the local wine store and bought myself a bottle of Inama 2008 Soave. I buy Inama's Soave quite frequently and always enjoy it. This particular bottle did not disappoint, in fact it performed way beyond my expectation. The wine had a nice aroma of waxy-straw, a hint of honeyed lemon, and a well balanced acidity on the palate. My glass of Soave definitely hit the spot and put me in a better frame of mind. A little bit of chlorosis. A little bit of marginal burn. Pretty colours. Autumn/harvest is just around the corner. I spent my afternoon field-budding in the vineyard with no company other than that of the highly malodourous Stinking Goosefoot (Chenopodium vulvaria) - my goodness that weed really does pong! Every single time I passed it by the not unattractive, silvery-green leafed plant reminded of it's location in the vineyard with a ghastly, lingering whiff of rotting fish. Charming! No wonder the Vinodogs stayed out of the way, passing the afternoon by snoozing on the deck. It was a productive day, and only once did I come close to cutting one of my fingers off. There is nothing like a celebration to merit a glass, or two, of bubbly. I personally could drink champagne every day and I think it's a shame to relegate it to special occasions only. But, today happens to be a special occasion: it's my second anniversary of blogging. I had no idea when I started to blog back in 2008 that I would have so much to say - however I think Vinomaker and my family would beg to differ....yikes! So, in honour of a mini-milestone in my viticultural meanderings, a glass of the most sublime Veuve Cliquot rosé champagne was in order. I just want to say a sincere thank you to those who regularly comment on Vinsanity (you know who you are.) It is always a pleasure to read your comments and I am always grateful for your input. Cheers! Last weekend the vineyard crew in our friendly neighbourhood Far Niente vineyard performed a green harvest on their Chardonnay vines. A green harvest is the removal of immature grape clusters whilst they are still green, with the express intent of inducing the vine to put all its energy into ripening the remaining clusters. Up in the rocky vineyards soils of the east and west hills of the Napa Valley, vine vigour is naturally kept in check due to oftentimes burdensome growing conditions. In contrast, on the valley floor where soil fertility is high, sunlight hours are long and irrigation systems are regularly employed, the pampered vines can beget an over-abundance of grapes that might not be of the desired quality. This year, in the valley, green harvesting seems to be the rule rather than the exception. Growers, perhaps anticipating the continuance of a thus far cool growing season, are carrying out green harvests at a slightly higher rate than I have witnessed in previous vintages. However, the general consensus is that the 2010 vintage will be satisfactory in this the coolest summer in Napa since 1998. But, they have to say that don't they? After all, who would buy a 2010 wine in 2013 if the growers and producers themselves slammed the vintage now before it is even harvested? 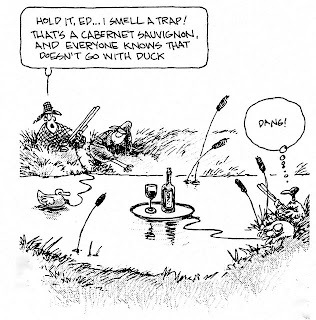 I personally think the 2010 vintage will be just fine, although yields will obviously be reduced. We still have basically two full months before the majority of Cabernet sauvignon grapes will be harvested and Mother Nature generally knows how to get the job done. And lets face it, most French producers would chew off their own right arms to get just one month of a Napa Valley growing season, even in this less than perfect of years. The Chardonnay grapes in the Far Niente vineyard do look rather handsome: they seem to be progressing through veraison very nicely and really don't look like they are having too difficult of a time in 2010 at all! Optimistically, in the remote chance that September and October in Napa will be somewhat meteorologically normal, the folks at Opus One have treated the south-facing side of their vines, in one block of their vineyard, to guard against damage to the ripening grapes. It was 99 degrees F in my neck of the woods today, so maybe they know something I don't. Surround WP crop protectant forms a barrier film, which acts as a broad spectrum protectant that may decrease damage from insect pests, but more importantly as a protectant against sunburn and heat stress on grapes. Surround is made from kaolin clay, an edible mineral, used in toothpaste and also as an anti-caking agent in processed foods. This product is apparently acceptable for use in organically grown vineyards. Whoop-de-doo! It may well work, it just looks weird. Time flies. It's September already. And once again it's California Wine Month. In celebration of all the wine producing areas of the Golden State, not just the Napa Valley, the Governor has proclaimed a month long Californian bacchanalia...sort of. To have a successful event like this you have to have enthusiastic participants. 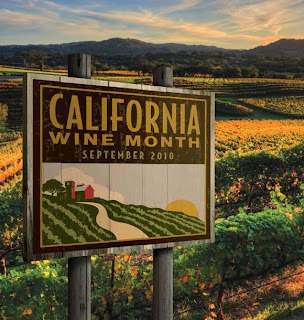 Unfortunately, with each successive year, interest in California Wine Month within the industry itself has waned. Oh well. I will, however, be doing my bit by drinking nothing but Californian wines all month, so please join me. So resist reaching for that robust Argentinian Malbec or that powerful Australian Shiraz. Instead, fill your glass with a hearty Californian Zinfandel and toast the Californian wine industry along with Vinogirl. Cheers! A day in the vineyard. I have been drinking too much wine of late and have not been paying enough attention to the work of growing the grapes that become the wine. I remedied that a little today by doing some small jobs in the vineyard that could be put off no longer. One small but necessary task was the removal of milk cartons that I had placed over vines this spring, vines that were field-budded last September, after determining if the grafted bud was viable. 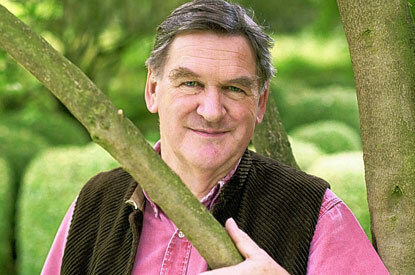 I then trained and tied each liberated young vine up a stake. It looks like I will have about a dozen vines to field-bud this year. The demise of several of the vines seems to be gopher related. The other vines seem to have simply expired.